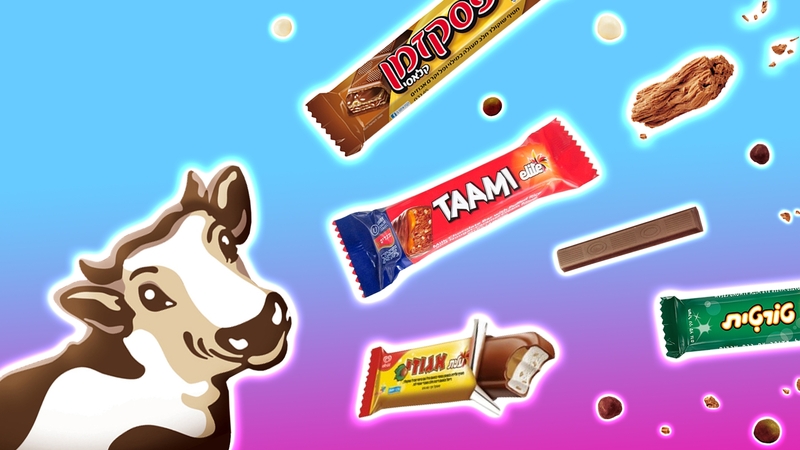 Our 11 favorite candy bars from Israel. When it comes to chocolate candy treats our staff has some strong feelings about the superiority of Israeli chocolate compared to its American or Canadian counterparts (and not just because we have so many Israelis on staff). And so we recently set out to create this ultimate ranking of Israel chocolates. If you’re craving some serious Israeli sweetness after reading this list, we don’t blame you — order some on Amazon ASAP and don’t forget to tell us in the comments or on Facebook which is your favorite. One of the best parts of Klik bars is that they come in a wide variety of flavors, from malted milk, pretzel or even cornflake covered. They are hands-down the favorite of our staff. Kif Kef are quite similar to Kit Kat bars, with wafer cookies inside a creamy milk chocolate coating and not to be missed. Crunchy, creamy, sweet and delicious. Elite milk chocolate bars filled with pop rocks are just pure fun, and pretty delicious too. Creamy milk chocolate melts in your mouth as tiny little explosions tingle your tongue. Even Gal Gadot and Jimmy Fallon can’t resist this iconic Israeli treat. What distinguishes mekpulet from other chocolate is its distinctive flaky, creamy, melt-in-your-mouth texture. It’s simple, sweet and divine. Egozi is a chocolate-coated bar with nougat filling and entire hazelnuts inside. It’s not quite as sweet as some other Israeli chocolates, and the nougat is a perfect complement, not too overpowering. This classic marriage of crunch, sweet chocolate and liquid deliciousness is addictive. It has a milky chocolate exterior and a light crunchy interior akin to a wafer. Chocolate Para is so classic, simple and beloved, you can even find it in many American grocery stores. This crunchy, chocolate filled with rice crispies, nougat and caramel filling is creamy, chewy, crispy perfection. Adashim are Israel’s version of creamy, milk chocolate M&Ms. Unlike in America, there is no peanut or pretzel or caramel or other crazy flavors. Which could be good or bad depending on your preference. Twist is another chocolate that is not overpoweringly sweet — light and crunchy caramel wafer covered in chocolate. It’s the perfect combination of texture and flavor. Watch the fascinating story of Elite, Israel's answer to Hershey's.